SOE – Welcome to Spinksville! SOE joins Sony security-breach party, legendary weapons – good or bad?, and why can’t we have more villains like Loki? 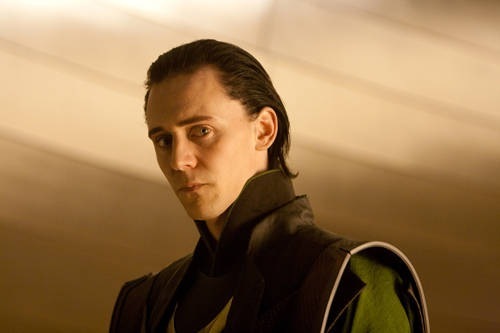 Tom Hiddleston’s turn as Loki is probably one of the best things about Thor, and this is where (after Marvel et al screwed up Doctor Doom in the Fantastic 4 films) we finally get to see a proper charismatic personal nemesis with some emotional depth and an agenda of their own in action as a supervillain. He’s also remarkably sympathetic even when at his most evil. And this makes me wonder whether the next step after personal companions in MMOs will be the personal nemesis. Champions Online did make use of this idea but I was never able to figure out whether they’d actually managed to implement villains you’d love to hate as opposed to just recurring (and annoying) NPCs. It also reminded me of why WoW just wasn’t ever going to be the same after Arthas died in Wrath. Maybe he was never going to quite be a /personal/ nemesis but he hit the right notes of being personal to many characters backgrounds (definitely so if you played forsaken like me), emotionally flawed, occasionally sympathetic if you rolled that way, etc. He was Warcraft’s Loki and no enormous dragon can replace that, however badass. On another (but related) note, I saw a mage in Rift with a helm that looks just like Loki’s in the film, gonzo horns and all. It must be mine. One of the new parts of upcoming patch 4.2 is a new legendary weapon in Warcraft. If you are one of the two readers who doesn’t know, legendaries have become part of the WoW scene since vanilla, are class/ role specific and are always associated in part with raid achievements. This time around the legendary is a caster staff which in addition to having good stats, will also let the user turn into a blue dragon (a nice perk). And of course, although it takes a whole guild to achieve a legendary, only one person can wield it. This is also the first time that a 10 man raid will have been able to complete a legendary item. And with the increasing emphasis on guild achievements and rewards (your guild mates get a new non-combat pet when the legendary is completed) I wonder how many people are re-evaluating how well the group rewards compare to the individual rewards. More and more the legendary is looking less like a perk for the raid team and more like a reward for being able to persuade 9 saps into helping you get a neato item. It’s a very different landscape from the time when helping your tank put together a Thunderfury would actively and clearly be a boon to your entire raid effort for the rest of the expansion. It will be interesting to see how much of the legendary can theoretically be put together solo, assuming access to PUG raids. Having said that, it sounds as though there’s plenty of cool lore behind the legendary quest/s which hopefully the rest of the team should be able to experience also. Obviously only raid teams which have cleared the whole of the first tier content are invited, so that excludes the majority of players. Just in case anyone thought that SOE players (eg. EQ2. Vanguard, Free Realms, PotBS) had dodged the Sony information leaking bullet following the PSN disaster, think again. I’d change my credit card also. MMO Rumours: New version of Ultima Online? SOE closing studios? A couple of fairly major rumours have been doing the rounds over the last day or so. 1. Based on the fact that EA is recruiting one (1) MMO programmer for an unannounced project, there’s a rumour that they’re planning a remake/ sequel to Ultima Online. If it’s true and sticks with the strong worldbuilding focus of the original game, this could be very interesting indeed. But chances are that any updates will neuter whatever made UO fascinating to players at the time. And incidentally if you want to try the original Ultima Online, there’s a 14 day free trial. I would also like to give Mythic props because this is the first official newbie guide I’ve seen that offers advice on how to choose a shard/server. 2. And the other, less happy rumour is that Sony Online Entertainment is closing studios and laying off a third (!) of their staff. That’s a lot of staff. Wish them all well if it’s true. Thought of the Day: What should you expect from an SOE sub? The big MMO launch this week was DC Universe Online, now available on both PC and PS3 (anyone tried the console version?). Unsubject posts a thoughtful look at some of the plus and minus points of the launch. So while the rest of the MMO industry is following a trend of PC games morphing towards F2P payment models, SOE is trying to persuade console gamers that subscriptions are best. Which is fine, but I think that claiming that console gamers should learn from what PC gamers want may be the wrong argument for that model. … I wonder how players of SOEs other subscription games feel about that.